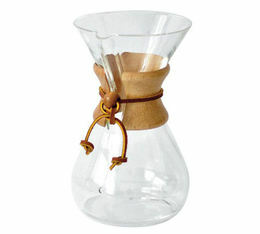 The Chemex coffee maker was invented in 1941 by Dr Peter Schlumbohm PhD. Family business with a head office located in Western Massachusetts, Chemex is a true work of art : as a permanent exhibition piece at the Museum of Modern Art (MoMA) in New York and other museums. This is where their coffee makers, filters, kettles and accessories are made before being distributed across the globe. The symbolic Chemex coffee maker has remained unchanged for 70 years, and this is set to continue. 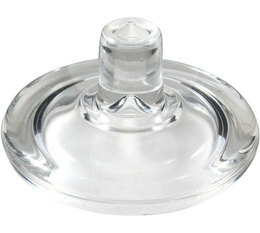 Box of 100 white Chemex filters for 6-8 cup coffee makers. The filters are pre-folded into a cone shape for maximum taste from the extraction. Box of 100 natural Chemex filters for 6-10 cup coffee makers. Chemex filters are pre-folded into a cone shape to extract the maximum of taste during the brewing process.